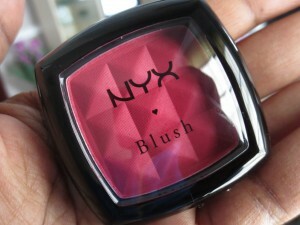 I don’t know how I missed this blush from NYX! I have a few blushes from them and I swear I have never seen this one. 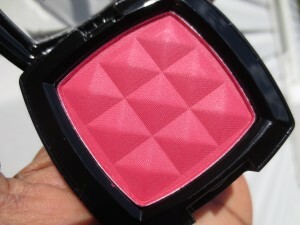 It’s a beautiful pigmented bright RED. I just love it. I saw this on the Ulta website weeks ago on sale (this week NYX is 40% off at Ulta) and lost my mind a little. I love red blushes and at a few dollars had to add this beauty to my stash. Try to find this one! I highly recommend it. 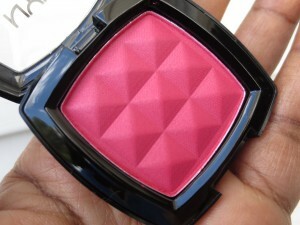 It’s as pigmented as can be and used with a light touch looks gorgeous on the cheeks! 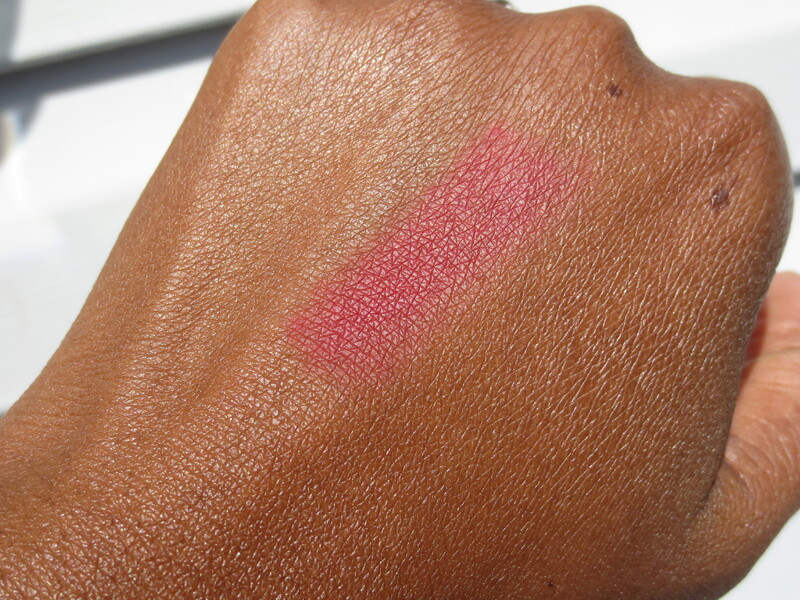 It definitely doesn’t swatch like my NARS Exhibit A which translates with a bit of orange on me. 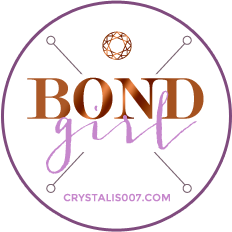 This is gorgeous….I will need to check this out for myself. I think the Exhibit A is brighter and like you said a bit orange and this is a nice true red. Love it-and the price! Heeeeeeey Red! I’ve never seen this one at my Ulta. I don’t know how they have managed to hide this shade. It’s the strangest thing! Thank you! Thank you! I’ve been searching for a red blush. I’m going to check my ulta store this week! Ive seen this in my local beauty supply store was well but was hesitant to pick it up. Looks pretty eill have to fi back and get it. Does anyone know how long NYX will be 40% on Ulta.com?